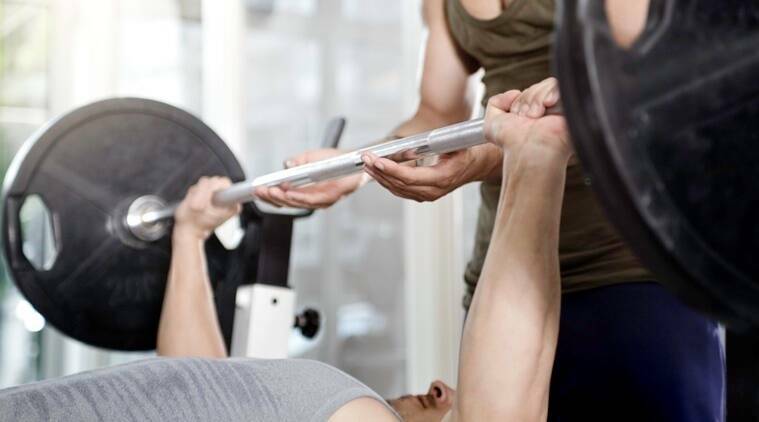 Lifting heavy weights may help you enhance your muscle strength more than light weight training because the nervous system facilitates improvements in strength during high-load training, researchers suggests. The study aimed to find out how the brain and motor neurons — cells that send electrical signals to muscle — adapt to high versus low-load weight training. The findings showed that despite similar increases in muscle thickness, high-load training may be superior for enhancing muscle strength than low-load training. The nervous system activates more of the motor neurons — or excites them more frequently — when subjected to high-load training. This increased excitation could account for the greater strength gains despite comparable growth in muscle mass, the researchers said. “If you’re trying to increase strength — whether you’re a gym rat or an athlete — training with high loads is going to result in greater strength adaptations,” said Nathaniel Jenkins, assistant professor at the Oklahoma State University. For the study, published in the journal Frontiers in Physiology, the team randomly assigned 26 men to train for six weeks on a leg-extension machine loaded with either 80 or 30 per cent of the maximum weight they could lift. The results showed a similar growth in muscle between the two groups but a larger strength increase — roughly 10 pounds’ worth — was found in the high-load group. Although, low-load training remains a viable option for those looking to simply build mass or avoid putting extreme stress on joints, still, when it comes to building strength — especially amid a busy schedule — heavier is better, Jenkins maintained. “High-load training is more efficient” and “it’s more time-efficient. We’re seeing greater strength adaptations. And now we’re seeing greater neural adaptations,” Jenkins added. Food for thought: How healthy are frozen fruits and vegetables?